Start playing Candy Crush Soda Saga today - already enjoyed by millions of players around the world! 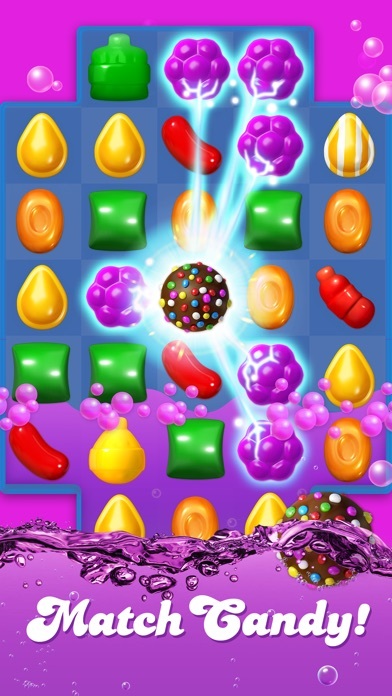 Candy Crush Soda Saga is the divine puzzle game from King, the makers of Candy Crush Saga, Farm Heroes Saga, and more! Switch and match candies to create 3 in a row, or match 4 (or more) to make delicious special candies! Complete the goals before you run out of moves to progress through deliciously fun levels. It's that simple! 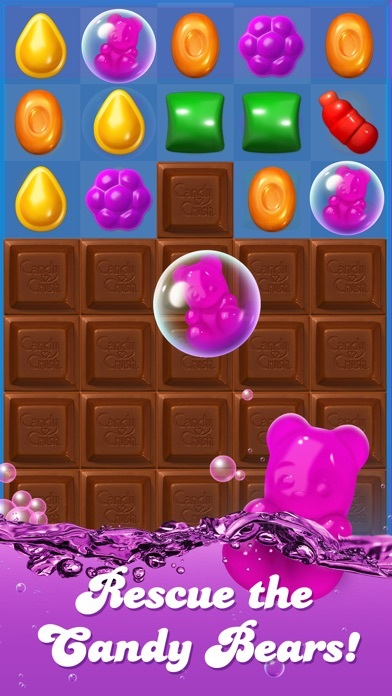 Switch and match scrumptious candies to make mouth-watering combinations and play challenging game modes brimming with purple soda and Candy Bears! Take on this Sodalicious Saga alone or play with friends to see who can get the highest score! 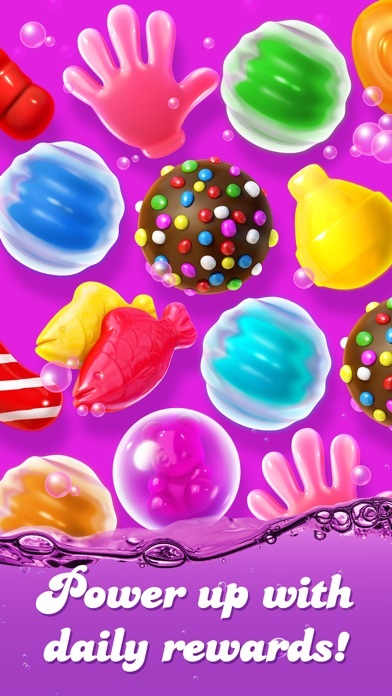 Candy Crush Soda Saga is completely free to play but some optional in-game items will require payment with real money. You can turn off the payment feature by disabling in-app purchases in your device’s settings. Candy Crush Soda Saga features: * Over 1000 Sodalicious levels * Frequent live events; reign supreme on Bubblegum Hill for a limited time only! Are you up for the challenge? * Game Modes include: Soda – switch bottles to make them pop and release purple soda Frosting – match Candies to smash the ice and set the Candy Bears free Bubble - the Candy Bears are trapped in bubbles! 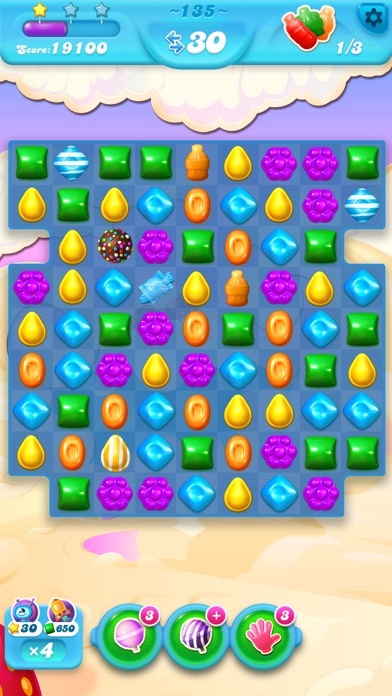 Save them by floating them to the top and cross the Candy necklace finish line! Chocolate & White Chocolate - switch next to the chocolate to stop it taking over the board Honey – match Candies next to the honey to release the trapped Candy Bears Bubblegum - match over the bubble gum to stop it from spreading! * Scrumptious Candies and sublime combinations: Match 4 Candies in a square to make a Swedish Fish Match 7 Candies to create the remarkable Coloring Candy Match 4 new purple Candies in a row to give an instant and powerful effect * Explore juicy environments and meet the kookiest characters * Mouth-watering graphics, Candy Crush Soda Saga never looked so tasty * Easy and fun to play, yet challenging to fully master * For players that Facebook Connect, you and your friends can compete to reach the top of the leaderboard and compare your best scores. 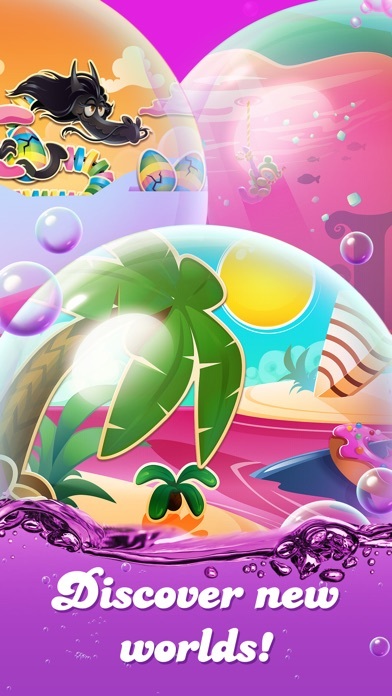 * Easily sync the game between mobile and tablet devices and unlock the full game features when connected to the internet This mouth-watering puzzle adventure will instantly quench your thirst for fun. Join Kimmy on her juicy journey to find Tiffi, by switching and matching your way through new dimensions of magical gameplay. Visit https://care.king.com/ if you need help! 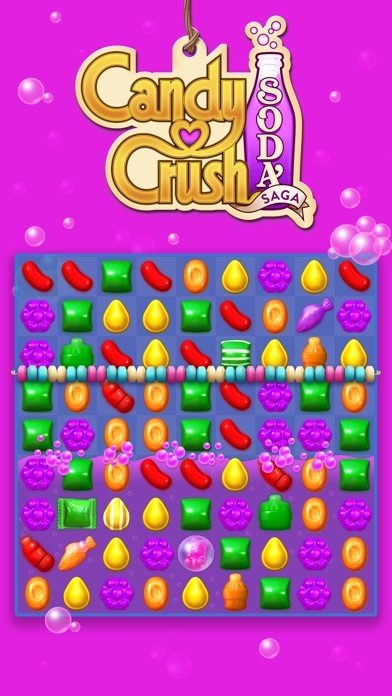 Follow us to get news and updates: facebook.com/CandyCrushSodaSaga Twitter @CandyCrushSodaSaga https://www.youtube.com/user/CandyCrushOfficial www.candycrushsodasaga.com Have fun playing Candy Crush Soda Saga! Unsolvable levels just destroy the joy of the game. The higher you go the worse it gets. This game has a lot of insolvables but the other games are far worse. This is getting ridiculous. The ad plays and then the screen is frozen. Fix this! Please add an “Are you sure?” Feature when a round is over and the option to spend gold bars for extra moves is an option. Your layout is contrary to other Candy Crush games and I am tired of losing gold for an accident that doesn’t offer a final decision feature. Miss having the Individual quests for power ups. Get rid of the group quests. You hardly get anything from it!